Are you looking for a strategy game for your android device? Are you a fan of military based games? Are you looking for the best Mobile Strike Challenge Guide for Newbies? Are you ready to blow your enemies off the face of the planet? If yes, mobile strike is the game for you. Mobile strike is an incredible game which brings in the perfect touch of modern war. As a player, you are required to defeat your enemies in the battlefield by building a base and giving commands to your elite troops. 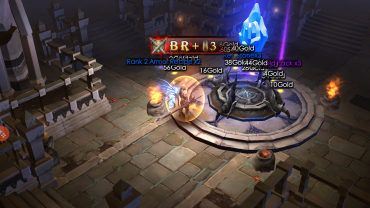 This MMO game will test your ability to make tactical decisions in the battlefield. That’s not all! 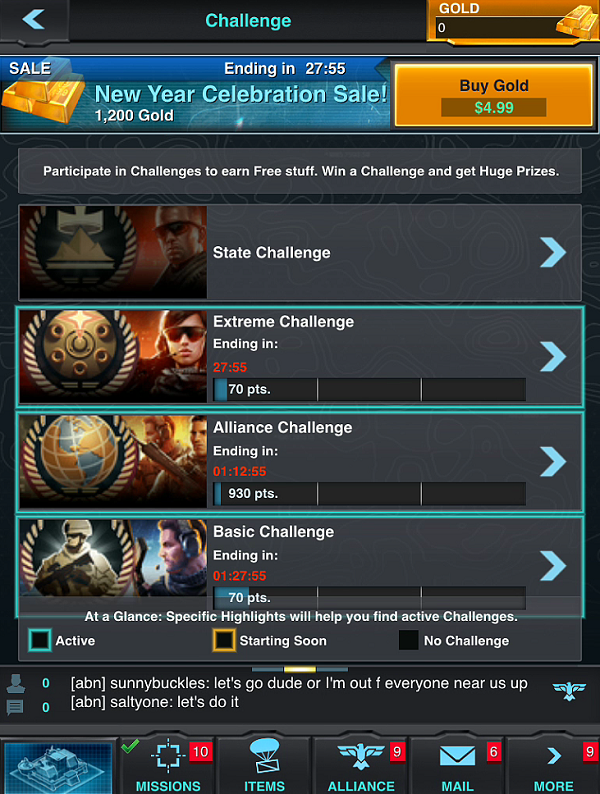 There are numerous awards such as VIP points and Free Gold available in Challenges section. The tips and guidelines available on this page will allow you to win more and complete challenges with more points. It should be noted that points required for challenges are determined by how fast players complete different stages in the game. For instance, if a particular level is easily completed with thousands of players, the developer might worsen the rewards or increase the minimum points required for challenges. On the other hand, harder challenges earn players millions of points when completed. Conducting research and constructing buildings. You can use either or both of the mentioned tasks to obtain power. In addition, time reduction items and speed will really come in handy if you want to complete challenges easily. There are three tiers for challenge rewards – higher tiers earn more rewards. As the name suggests, this challenge revolves around your entire state. Here, a player’s entire state will go against all the forces available in game world. This challenge requires all alliance members to contribute at least 1 point. Here, calculation is based on the total number of points from alliance members. When targets are met, each member is granted a gift box. Here, the point requirement is lower and time frame is longer (ranges from 4 to 6 hours). As expected, rewards are smaller and weaker in this challenge. Here, you need two things; strategic planning and higher point requirements. The game resets after every hour hence you need to be really fast. The rewards and prizes from extreme challenge level are very huge. Occupying resource tiles will enable you to gain access to extra resources and discover new materials. Some of these materials can be used to make body armor, helmets, weapons and more. Resource tiles are scattered all around the game world map. By upgrading your wall, you will not only protect your base but will also gain the ability to upgrade your HQ. Max out your wall defenses by building traps such as anti-tank mines, trip wires, barbed wires and more. If you are looking for the best way to complete a challenge within the shortest time possible, focusing on a specific timer reduction booster and speed ups is a good idea. Troops training reduction is the best reduction timer as it’s more flexible. The research timer is the second best choice as favors research time frame. After setting up everything, ensure that you have enough resources for your troops. Resource management will rely on your research and upgrades. Not all extreme challenges ask for similar demands from troops training or building. This is why you should use speed ups for a Tier 3 completion. For instance, finishing an hour before the planned time will earn you decent rewards. Challenges assist you in getting extra rewards. From the four challenges, you should keep an eye on alliance challenges. They are easier to complete as teamwork is involved. Each member completes a specific task and once targets are met, rewards are distributed to the team. Now that you have gone through the best Mobile Strike Challenge Guide for Newbies, it’s time to have fun and earn points. Research, build and train your troops to bring down the enemy. In alliance challenges, we show up as winning 2nd place. We are 19th in power in our state. A friend told me that was 2nd in our tier. What determines which tier your alliance is in, and how may alliances are in each tier?